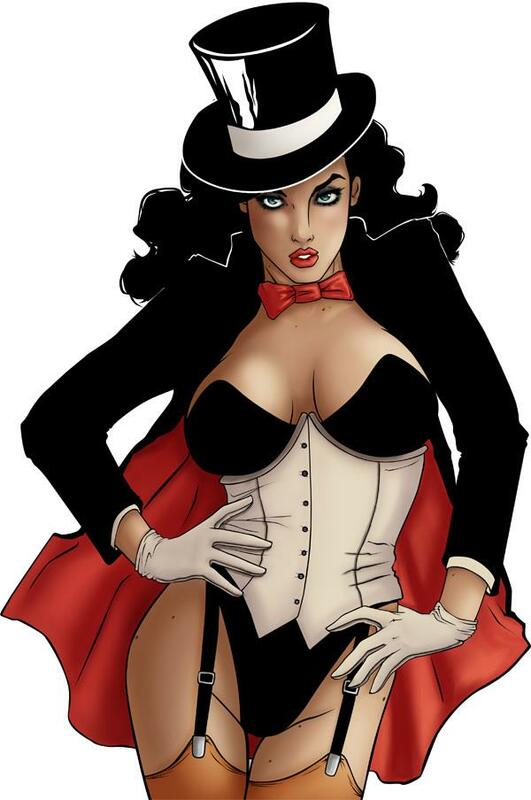 So Zatanna, as many comic book heroes has a distinctive costume. Her's also happens to double up as her stage costume. That doesn't mean though she is immune to mixing it up a bit. Course some of her choices have been odd, bizarre and others downright ridiculous. The most interesting thing about her latest costume is that it is mostly normal looking. Well leave it to the fans to make changes they think need to be done. Here are some new costume designs I ran across recently. I like this one, all the different animated Zatanna costumes. Something of a cross between her JLD outfit and her classic one. First time I have seen her in some pink.